Are you searching for the best tourist spots in Balangir District of Odisha ? If Yes, you just come to the right place. Here in this article you can get the complete information about the Major tourist attractions of Balangir and the Best Picnic Spots in Balangir which are the best spots for you winter picnic. Just follow this article to know all about Balangir Tourism. Ranipur Jharial is known as “Soma Tirtha” in scriptures. It combines a section of religious faiths like Saivism, Buddhism, Vaisnavism and Tantrism. The circular open vault enclosure of sixty-four yoginis, the major attraction of the place, is one of the four such shrines in India. The temple of Someswar Siva is the noted one among a plethora of about 50 temples here. The majestic brick temple of Indralath is said to be the highest brick temple of Odisha. Saintala is noted for its Chandi temple which is now in ruins. Goddess Chandi in Mahisamardini form is presently installed in a small mound. The Dasavatara (Ten incarnations) image of Lord Vishnu and Broken door jamb with figures of Ganga and Yamuna are among the remarkable places of sculpture un-earthen here. 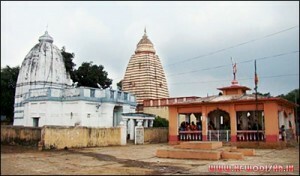 Jogisarda is about 25 Kms from Balangir and 7 Kms. from Loisingha. Jogisarda is noted for the Jogeswar Shiva Temple. A place of great scenic beauty, Gaikhai is surrounded by green capped hills on three sides. The water mass here dazzles with natural scenery and offers cool breeze to the visitors. An ideal place for group camping, the place also is thronged with picnickers all the year round. A village revived its old celebrity that it was a seat of religious activities during Savapuriya Dynasty before the advent of the Somavamsi Kesharies (8th Century). An open space surrounded by paddy fields, presently houses three monolithic deities of Jagannath temple. However, the stone images of Lord Jagannath, Balabhadra and Subhadra, unique of its kind were known to humankind after an excavation made in accordance with an afflatus received by a villager. Respective colours of the deities are applied to these Idols ranging not more than 1.5ft in height. The age and time of execution can only by revealed after Carbon testing. It is a rustic village of aborigines. Yet accommodates magnificent images of Jagannath Cult, made of neem tree. 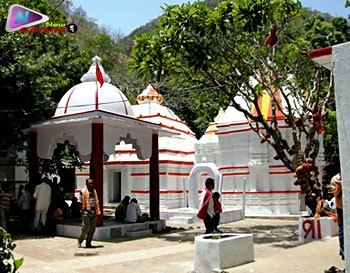 The village derives its name from Narasingh, the fourth incarnation of Lord Vishnu who is believed to have killed a demon named Mura who prayed the God to be remembered in association with the name of the Lord Narasingha. Though the village is yet to erect a proporti9onally big and decent temple for the deities, there is no let up in the rituals of these vaishnavite idols at par with those of Puri. The villagers exhibited an incredible moral change under the leadership of a school teacher named Bijoy Kumar Mohanty. Mr. Mohanty was in charge of the worship of former small idol of Lord Jagannath. Give Responses for "Famous Picnic Spots in Balangir District of Odisha"